The city celebrates a wide variety of annual cultural events, performing arts and architecture. The Melbourne Cbd accommodation is also considered to be Australia's live music capital with a large proportion of successful Australian artists emerging from the Melbourne live music scene. 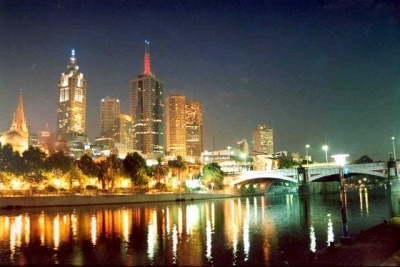 Melbourne has become popular for its street art with the Lonely Planet guides listing it as a major attraction. The city is also admired as one of the great cities of the Victorian Age (1837-1901) and a vigorous city life intersects with an impressive range of nineteenth and early twentieth-century buildings. Popular sites and events in Melbourne include: Federation Square, The Melbourne Cricket Ground, Eureka Skydeck, The Melbourne Observation Deck, Melbourne Park, Crown Casino, Luna Park Melbourne and many more. Melbourne contains all manner of pubs, bars, and nightclubs. The CBD contains a wide variety of venues, from the ubiquitous faux-Irish pubs and more traditional Aussie hotels, through some very upmarket wine bars, serious jazz venues on Bennetts Lane, fashionable nightclubs and dance venues, are often hidden away down obscure grungy alleys. Discover Victoria's breathtaking landscapes, historic towns and superb local food and wine... all within an easy drive from Melbourne.